TAGUIG—Three new sports will become part of the 2019 calendar of the Milo Summer Sports Clinics. The Philippines’ leading chocolate drink will now offer sports clinics for martial art disciplines arnis and wushu and the fast-paced ultimate. The announcement was made during the press launch of the said sports clinic series at KidZania on Thursday. “This is part of our advocacy of getting more Filipinos into sports by putting up a sports program that will be of best interest to Filipino children,” Luigi Pumaren, the executive of Milo Sports, said during the presser. 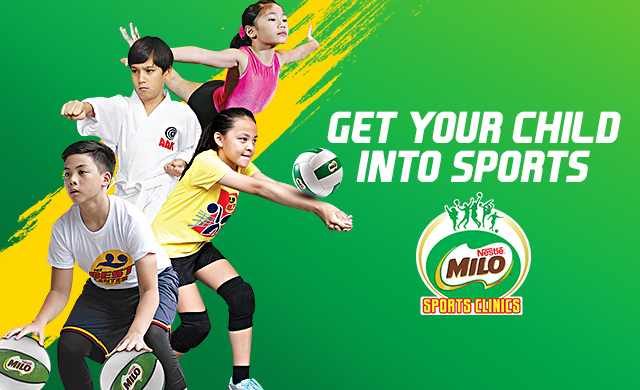 The inclusion increases the number of sports to be offered in the Milo Summer Sports Clinics to 19. Arnis, the Philippines’ national sport, has become a medal-racking sport for Filipino athletes especially in the international stage. Ultimate, on the other hand, remains popular among Filipinos, especially those looking for an alternate to basketball and football. “For wushu and for ultimate frisbee, Filipinos have done well in some international stages, and arnis is considered our national sport,” Pumaren continued. However, he added that the inclusion would not be possible if not for the partner organizations who offered their help. “We’re also able to find the right organizers for these clinics,” Pumaren further said. The Milo Summer Sports Clinics will start late March. Over 700 venues all across the Philippines will hold various clinics in the 19 sports in this year’s calendar. At least 30,000 kids aged 7-12 years old are expected to participate this year. The Milo Summer Sports Clinics will be headlined by the Milo BEST Center for basketball and volleyball. The said clinic series groomed the likes of Chris Tiu, Kiefer and Thirdy Ravena, Japoy Lizardo, and Kaitlyn De Guzman. The said athletes would become champions in their particular fields.